If you?ve ever bought a random TV box you may have found out Netflix does not always work optimally, for example, HD or 4K UHD may not be available due to the lack of DRM, and/or Netflix certification even if you?re paying extra for the service. So you need to make sure you get a certified device and there aren?t that many. But thanks to Netflix Hailstorm ? a program aiming at scaling the number of device officially supporting Netflix ? we should see more and more TV box running Android TV with full Netflix support. 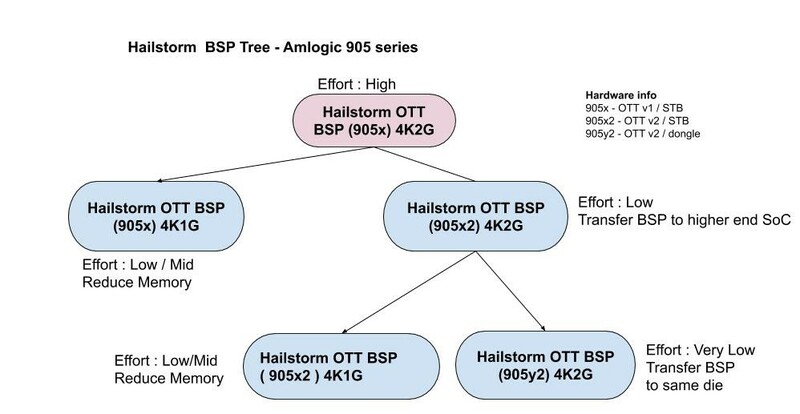 I found about the Hailstorm program via an Amlogic press release, but the photo above shows some TV boxes based on HiSilicon processors will also be supported, and TV boxes manufacturers such as SDMC, Skyworth, and Himedia have joined the program. 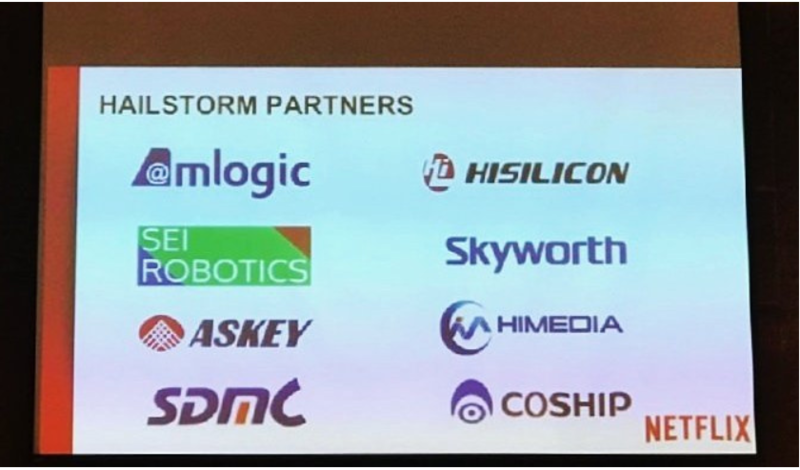 The company showcased them in the last few days at the APAC Android TV Summit 2018, taking place on Nov. 13-15, 2018 at the Berkeley Hotel Pratunam in Bangkok, Thailand. SDMC was also there to exhibit their 4K STB for Netflix Hailstorm Program, and other TV boxes. It?s still unclear when those will be available for sale, and how consumers will be able to find out which box is part of Hailstorm program. System Stability: Optimize application uptime and context switch performance. 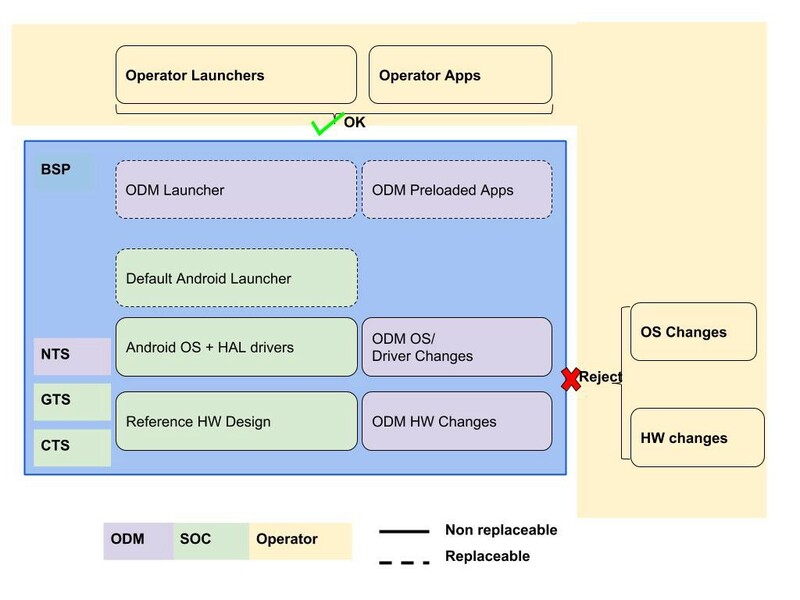 Although Android has done a great job in consolidating the middleware stack, it is difficult to lock down every single component (BSP) through the traditional device development model. Through years of experience in integrating Netflix with our partners, we have learned a variety of lessons causing the product BSP fragmentation, making difficult to scale up from the baseline SoC BSP. End customer (Operator/OEM) may introduce its own software stack which could interfere with system performance. These are just a few examples that cause development overhead ,resulting in all parties over the development process (from Silicon vendor, ODM, System integrator to Netflix) having to pay the tax for it, simply because we cannot guarantee consistent certification results for all products derived from the same SoC BSP. Notice that Wifi, DRAM and HDMI all carry high frequency signals and typically require lots of tuning in layout and software design. ODMs or System Integrators usually would reference to the SoC BSP to their product design. 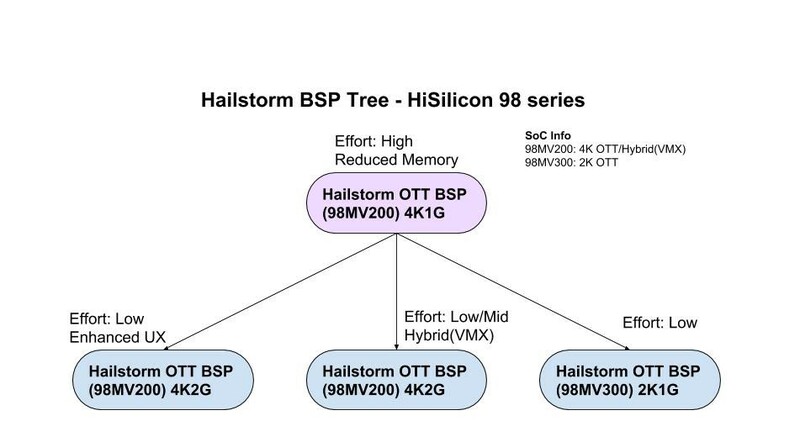 Hailstorm BSP model also introduces certification checkpoints to qualify SoC and ODM BSP and the final Operator product. We collaborate with SoC partners to review their source code and ensure single source branch per silicon to eliminate software fragmentation. Furthermore, SoC would be responsible to audit the BSP of their customer to ensure the integrity and to understand the risk of changes. The goal is to reduce the integration effort required for ODM and Operators. Below you can find the workflow and the R&R (Roles & Responsibilities) of each party. Sideload 3rd party apps that conflict with Netflix application?s resources or cause security issues. E.g. The OTT BSP Model is the baseline that encapsulates the Netflix core features. This would offer a solution to lower our partners? development cost and to reduce their product time-to-market. A direct benefit of this model is to enable more Android TV turnkey products. In addition, we do have a vision that could benefit not only a single BSP but could derive a family of BSP solutions based on a family of silicons. Reducing memory of S905x2 from 2G to 1G could mean less framework and driver optimization work on top of 905x2 2G BSP. Migrating BSP from x2 to y2 could be low to no effort as the dies are identical with differences limited to packaging only. Similarly, migrating a 1GB 98MV200 BSP to 2GB memory could be low effort, although adding CAS (Conditional Access) may raise the effort level as it could impact performance of the shared memory and security (Trust Execution Environment) resources. All times are GMT-8. This page was generated at 05:58.